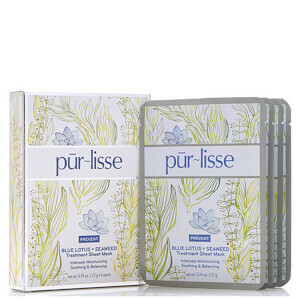 Purlisse, translated from the French words for pure, "pur" and smooth, "lisse," elevates the modern standards for beauty and skin transformation. With a unique approach to age-prevention, Purlisse marries time-tested ancient Chinese beauty wisdom with the latest advances in French dermatological technology. 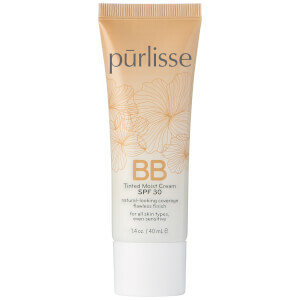 Purlisse's mission is to create efficacious products that transform your skin without compromise. All of the formulas are free of parabens, petrochemicals, propylene-glycol, synthetic colorants and synthetic fragrances. See our Q&A with Jennifer Yen, Founder of Purlisse. Ideally, a great skincare product draws upon pure, high-quality ingredients that are combined in a balanced mixture, and does its work without unduly stressing the skin. 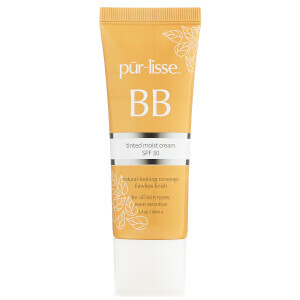 This sort of integrity imbues each and every formulation of the Purlisse brand, which came into being as a striking fusion of traditional Chinese beauty practices with cutting-edge French dermatological advances. Founder Jennifer Yen was inspired to develop the Purlisse approach while struggling with sensitive-skin issues as an actress, and began incorporating modern skincare science into an approach informed by millennia of Chinese medicinal and cosmetic traditions. 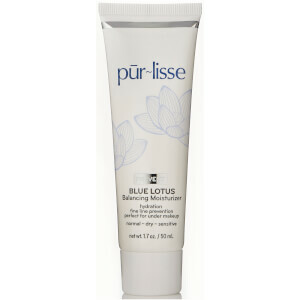 At the heart of the Purlisse approach is the brand's Lotus Lupine Peptide Complex, which incorporates a suite of natural botanicals and other extracts, antioxidant-rich blue lotus flower and white tea, skin-stimulating lupine peptides, calming and moisturizing soy protein, and the protective and age-defying SeaSilk marine mixture. The resultant products, which are free of synthetic fragrances, parabens, petrochemicals, and other such chemicals, answer a broad array of skincare needs. 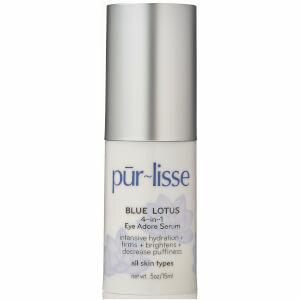 The Purlisse approach works to provide skin with the nourishment and hydration it needs to maintain a vivacious tone, texture, and firmness. You'll find age-defying skin serums, broad-spectrum moisturizers, gentle but deep-acting cleansers, and other formulations, all expressing that unique blend of ancient wisdom and modern science that defines Purlisse. Whether you have a well-balanced complexion or suffer from dry skin, whether you're frustrated by wrinkles and creases or looking to mitigate photodamaged skin, you'll find useful tools without the aggravating side effects under the Purlisse umbrella. With the goal to keep skin pure and smooth, Purlisse Products rely on a suite of natural products as part of a simple, function and effective skin regimen. 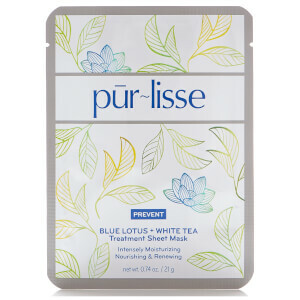 Their formulas use such key ingredients as blue lotus (Nelumbo nucifera), white tea (leaves of Camellia sinensis which have been subjected to the least amount of processing), lupine peptides, soy proteins and a blend of French marine plants known as "sea silk" to provide skin-smoothing, age protection and hydrating benefits. The formulas of Purlisse Products (the name is pronounced "pur-lisse" or French for "pure and smooth") are pure, kept free of parabens, phthalates, petrochemicals, synthetic colors and fragrances and animal by-products, as well as free of animal testing. Instead, they blend traditional Chinese beauty rituals with modern French skin care technology, helping to improve the hydration, strength and health of skin to provide a beautiful complexion. Even the packaging is carefully considered, using advanced technology to keep the products fresh and secure, avoid waste and allow for durable travel-friendly portability. From philosophy to formulation to design, Purlisse Products are purely all about you. A skin care regimen is not just a series of steps, each taken in a particular order. For a program to be successful, it must have an over-arching ideal and concept. 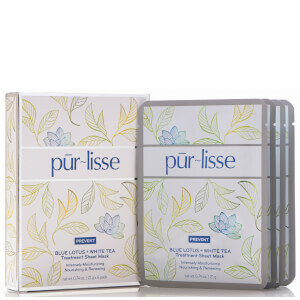 The basis of the Purlisse Products is the quest for pure and smooth skin, achieved through the blending of traditional Chinese practices and modern French skin care technology. Even the name, pronounced from the French pur-lisse, reveals this ideal. Eyes are the jewels of the face, and the skin that surrounds them is the setting. 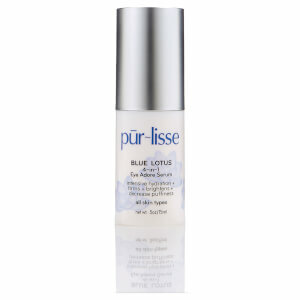 Keep the delicate skin in the eye zone pure and smooth with Purlisse Pur Eye Adore Quadra Benefit Eye Serum. With powerful botanical ingredients, multiplied by four in this intensive treatment, clinically proven improvement in wrinkles, dark circles and puffiness can be achieved. The serum uses the breakthrough formulas of Peptide Eye Complex and Lotus Lupine 5 to hydrate, firm, lift and renew the delicate eye zone skin. Cleansing can be both effective and kind, with Purlisse Pur Delicate Gentle Soy Milk Cleanser. Excess oils, old shed skin cells, the dirt and impurities deposited throughout the day, even stubborn makeup, is gently washed away without stripping the skin of its vital natural oils. The key ingredients clean, moisturize, protect, calm and soothe, leaving the skin not only cleansed but soft, supple and silky. 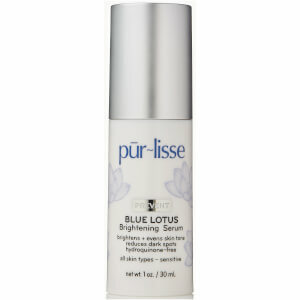 Even the most thirsty skin can be quenched with Purlisse Pur Moist Hydra Balance Moisturizer. An exclusive blend of French marine botanicals, white tea, blue lotus and vitamins hydrate and protect the tissues from moisture loss.